We have been so pleased with Kes’s first litter (Kes x Imp. Scout, spring 2016) that I have decided to to breed Kes one more time before retiring her from breeding. Kes is due to come into heat in December, 2017, which would mean February puppies, ready to go home approximately mid-May 2018. I am still evaluating potential sires. The sire will be chosen based on compatible working style, temperament, health, and structure. Please read on to learn about our breeding philosophy and methods, and how to apply for a puppy. Be sure to check out our puppy blog for photos and regular updates! This breeding will be performed with the goal of producing our next working dog for the farm, and hopefully a nice trial prospect as well. Puppies will be naturally reared and raised using Puppy Culture techniques (see below for more information on these methods). Because these puppies will grow to become high drive working dogs, we will not be placing them in pet homes. If you are seeking a pet companion dog, please consider rescue. Half of our dogs are rescues and we can attest to what wonderful loving friends, companions, and performance partners they make. 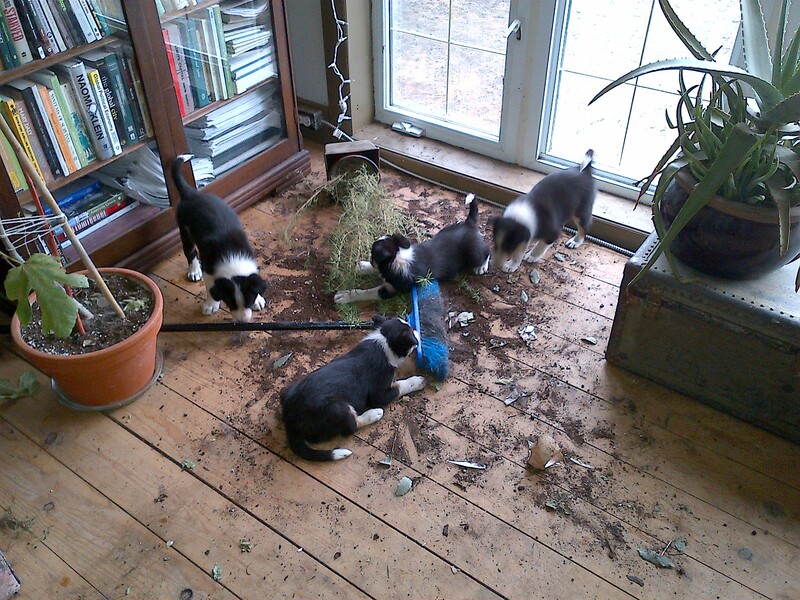 To read the details on how we raise a litter, please join us on our puppy blog! There we have posted status updates, puppy rearing information, and of course lots of pictures and videos. Place puppies in pet homes. For a puppy application, please email kynicstocdogs@gmail.com. Our dogs are an integral part of our small, working homestead. They are our companions and working partners, and we only keep as many as can comfortably live in our home and help us on the farm. We breed very occasionally, and only when we are looking for a new puppy to add to our team. This generally means a litter every 3-4 years. 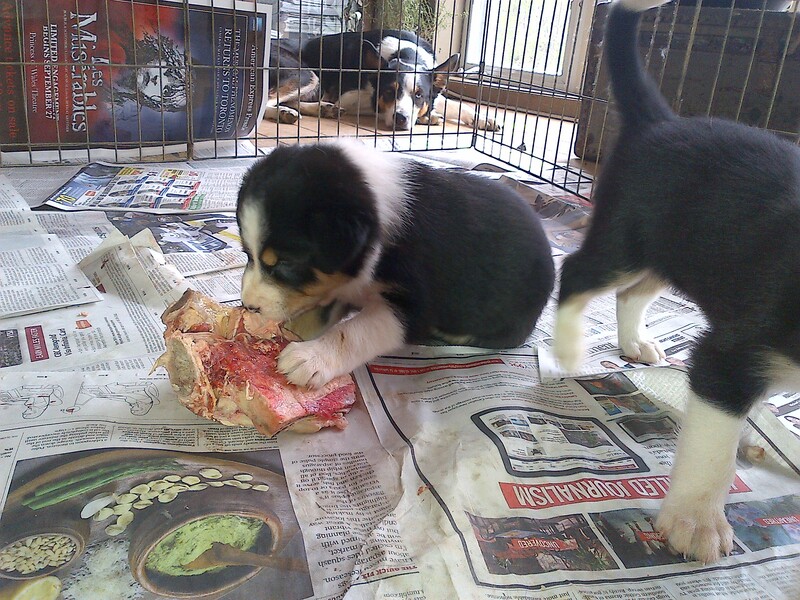 As such, every litter – and every puppy – is a big deal and a very exciting event on the farm! Please see below for details on our breeding program and how to apply for a puppy. You can also follow our blog to learn more about how we raise and train our pups! Before reading on, please consider rescue! While we are happy to sell puppies to excellent homes, we are just as happy to help you find a wonderful rescue dog. Don’t hesitate to contact us for more information! Excellent health and steady, friendly temperaments are central to our breeding program. 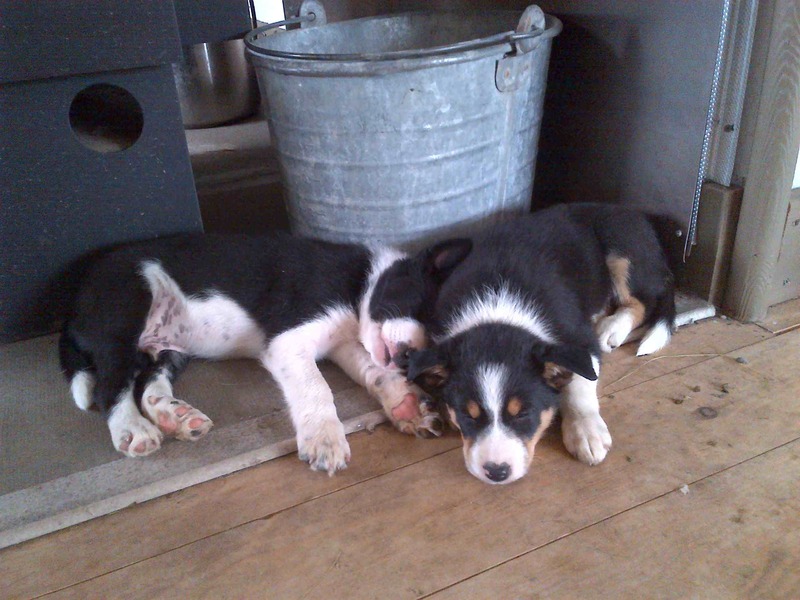 Furthermore, our pups are carefully selected to be top notch working stockdogs. We love all our canine companions but, before being bred, they must prove themselves to be excellent examples of their breed. With the Border Collies, this means being trained to the Open level of USBCHA style herding as well as being able to do all important chores on the farm, and occasionally in other venues as need be. As with our adult dogs, Kynic puppies are naturally reared. Weaned to goat’s milk and pastured organic eggs from our farm, their first solid food is raw meat. We ensure that there are no known chemicals in their environment, use only biodegradable natural cleaners (such as baking soda and vinegar), and avoid the use of chemical flea & tick deterrents and dewormers around young immune systems. We are very fortunate to have a wonderful team of holistic veterinary practitioners, in addition to our in-house knowledge gained through a decade and a half of practice, to ensure that homeopathy, acupuncture, herbal medicine, and other holistic approaches to health are our front line. With respect to vaccines, we encourage the protocol recommended by Dr. Don Hamilton, DVM. This means that puppies are not vaccinated until at least 10 weeks of age (prior to this their mother’s antibodies interfere with the vaccine, potentially negating its effectiveness). Dr. Hamilton advises that puppies over 10 weeks receive single distemper and parvo vaccines, spaced several weeks apart. Rabies is to be administered when the immune system is more mature, the recommended age being at least 6 months (however implementation may vary according to legal requirements). We will be raising our upcoming litter using Puppy Culture methods. You can follow the journey here, on our Puppy Blog. Pups are whelped in the bedroom, where they are kept quiet and warm for their first couple of weeks. We preform Early Neurological Stimulation until their eyes are open, and begin introducing them to the world around them shortly thereafter. Once pups can hear, see and crawl about, their whelping pen is moved into our open-concept kitchen where an x-pen addition offers them a play area where they can safely be in the middle of everything. From here on in, pups are raised under foot, carefully introduced to the rest of the pack and progressively included in daily activity about the house, and eventually around the farm. By the time pups are ready to go, we have worked to expose them to many new people and dogs, different sights, sounds, smells and environments, car trips, livestock, crates and anything else we can think of to help them build the foundation to blossom into the most confident, resilient dogs possible. Because we believe in building immune systems naturally, we work to gradually expose puppies to new situations. This means avoiding taking them to dog parks or other high-traffic dog areas where their immature immune systems might get overwhelmed. As they mature, puppies will be taken to herding and agility trials and classes, as well as to training venues we frequent with their parents and pack mates. By the time puppies are ready to go to their permanent homes they will have solid recalls, have a foundation in Crate Games, be clicker imprinted and have training basics under their belts such as sitting, ‘it’s yer choice’, hand touches, and tugging. Pups going to working homes will also be regularly exposed to livestock (sheep, goats, horses, ducks and chickens) and our livestock guardian dogs. We do our very best to carefully match each puppy with the home that will fit their needs and activity levels, and each buyer with the puppy that will best meet their lifestyle, training and competition goals. For this reason we ask that potential buyers fill out a puppy application and spend time getting to know us and our dogs, prior to placing a deposit and eventually purchasing a puppy. With rare exceptions to working homes, puppies are sold on non-breeding contracts. Please note that we do not believe that AKC/CKC herding competitions sufficiently test the working ability of a dog to establish its viability for breeding. 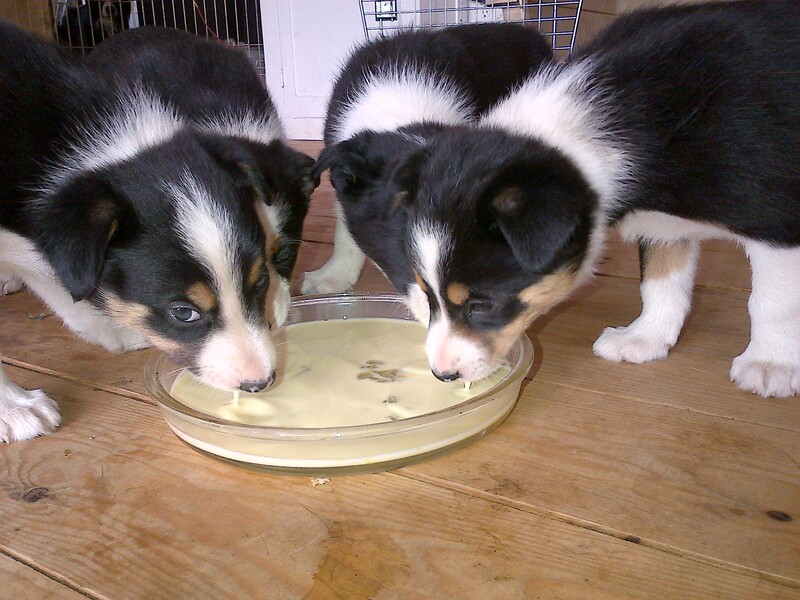 We strongly recommend that a raw diet and natural approach to rearing be maintained for the life of each dog and are happy to offer help, information and support to any of our puppy homes wishing to do so. If you are interested in a Kynic Stockdog naturally reared puppy, please email kynicstockdogs@gmail.com for more information and a puppy application.